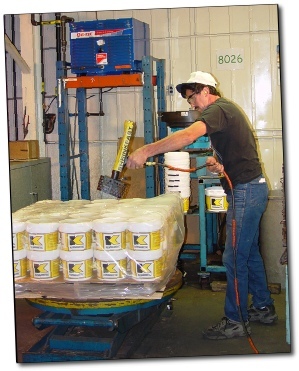 When employees used portable propane tanks for shrink wrapping pallets on production lines they kept running out of gas. When one tank ran empty, instead of taking it out across the parking lot to fill it up on a cold winter day, they would grab the tank on the next line over, and eventually all the tanks were empty! Now, with a TB-500 Torch Booster hi-pressure natural gas is manifolded throughout the shop, every production line has all the gas they need and no one ever runs out. 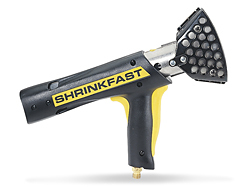 Use hi-pressure natural gas with your shrink wrap gun to get top performance, low cost and improved workplace safety. If your shrink wrapping equipment is in a stationary location, such as the end of a production line, then a G-TEC Torch Booster will provide a continuous supply of fuel gas - never run out of gas in the middle of the job and no empty gas cylinders to change. Natural gas is half the cost of propane for equal performance and the danger of storing large amounts of fuel gas in your building is eliminated. 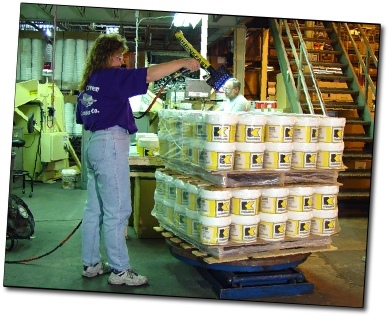 After employees kept running out of propane for shrink wrapping on the shop floor Kennametal found a solution that never runs out of gas - a G-TEC TB-500 Torch Booster! 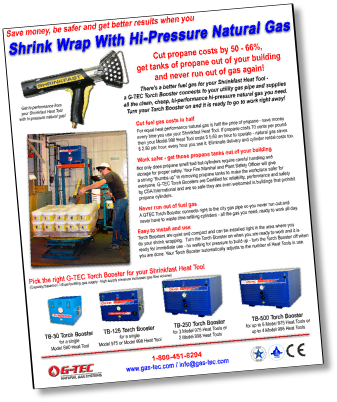 Download the brochure to find out more about the benefits of high-pressure natural gas for shrink wrapping! If you have one Shrinkfast Model 975 or Model 998 Heat Tool then a G-TEC TB-125 Torch Booster is the right system. 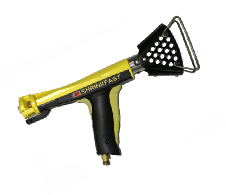 If you have three Shrinkfast Model 975 Heat Tools, or two Model 998 Heat Tools then a TB-250 Torch Booster is the right system. If you have up to five Shrinkfast Model 975 Heat Tools or three Model 998 Heat Tools then a TB-500 Torch Booster is the right system. 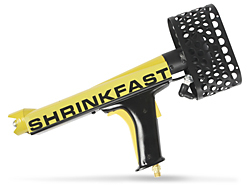 If you have one Shrinkfast Model MZ Heat Tool then a G-TEC TB-30 Torch Booster is the right system. Click on the video link below to see how the MZ Heat Tool works with high pressure natural gas provided by a G-TEC TB-30 Torch Booster. Note: S80 name is a pre-production identifier. Click on the video link below to see how the Model 998 Heat Tool works with high pressure natural gas provided by a G-TEC TB-125 Torch Booster.